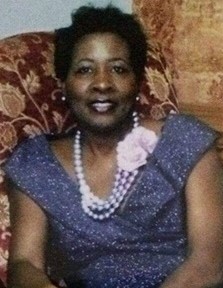 Mrs. Joyce Ann Nowlin, 71, of 2303 Tranquil Drive, Wilson, NC, passed away on February 11, 2019 at her home. The funeral service is scheduled for Sunday, February 17, 2019 at Goodwill FWB Church, 649 Hebron Road, Cades, South Carolina at 2:00 pm. Pastor Joseph Bennett will deliver the eulogy. Burial will be at Goodwill FWB Church Cemetery also in Cades South Carolina. A public visitation will be held on Friday, February 15, 2019 from 3:00 pm until 7:00 pm with a wake service beginning at 7:00 pm at Stevens Funeral Home, 1820 Martin Luther King, Jr. Parkway, Wilson, NC. Mrs. Nowlin was preceded in death by her parents, Early Simon and Eula Wilson Simon; one brother, Leroy (Naomi) Simon and one sister, Earlene (Otto) Graham. She leaves many cherished memories to: her husband, William Dave Nowlin, their three daughters, Yolanda (Eugene) Taylor of Wake Forest, NC, Davetta (Washington) Williams of Charlotte, NC and Lawanda (Melvin) Hodges of Atlanta, GA, and a stepdaughter Caroline Burroughs of Wilson, NC; three granddaughters, Tenise Burroughs, Chloe Taylor, and Sasha Taylor, and three grandsons, Sancho Hodges III, Asante Hodges, and Sapar Hodges; and a great grandson, Torrence Burroughs-Cannady; her brothers, Early (Shirley) Simon Jr., Jerry (Catherma) Simon, and Douglas Simon; a sister, Margaret McMillian. She leaves a host of nieces, nephews and extended family and friends.